Ohio State is expanding its use of multi-factor authentication in order to increase the level of protection that prevents unauthorized individuals from accessing your information. Adding BuckeyePass to the login process for the Carmen learning management system not only reduces the risk of credential theft—it also helps address academic misconduct. There are a lot of questions surrounding the current Carmen outage. Our ODEE partners continue to provide the campus community with as much information as possible while system restoration and testing efforts continue, as explained in the following ODEE news blog article. On Sunday, November 9, we took Carmen down for a routine maintenance task - expanding the space available for uploaded files. During that time, we encountered an error in how the different parts of the system communicate with each other and immediately stopped the task. The error was significant enough that it required us to restore from a backup copy of Carmen. Recently it was announced that faculty and staff who leave Ohio State or retire would have enhanced access to selected systems after separating from the university. Although these enhancements provide continued access for former employees, a gap still exists in access to Faculty Center for faculty whose termination effective date falls prior to the grade submission deadline. For this term, the termination effective date is April 30th and the grade submission deadline is May 6th. When: Tuesday, August 28, 10:30 a.m. to noon. When: Wednesday, August 29, 12:00-1:30 p.m.
OCIO staff are making two changes to CarmenWiki. One change will have a somewhat broad impact; the other is fairly minor. Note that these changes apply ONLY to CarmenWiki, not to Carmen. The bigger change is related to how access to CarmenWiki is provided for people not affiliated with Ohio State. Student Orgs: Is a Carmen Page Right for You? 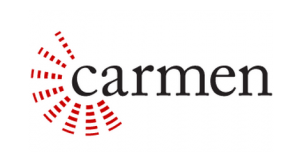 Carmen, Ohio State’s Learning Management System, is used by thousands of academic instructors a year to organize and enhance their courses. Many of Carmen’s functions could be useful for a student organization as well. Read more about Student Orgs: Is a Carmen Page Right for You? The OCIO Information Technology Resource guides for students, faculty, and staff are now available online. The reference guides highlight university-provided information and learning technology resources and services available at Ohio State. A limited number of printed copies are available at the IT Service Desk, 025 Central Classroom Building, 2009 Millikin Road. To view and download your copy, visit ocio.osu.edu/guides.